The 2018 Kona Worlds took place in beautiful Clearwater Beach, Florida, USA on Oct 26-31, 2018. The Clearwater Community Sailing Center took center stage and delivered an event for the memory books! Clearwater is a technical venue. 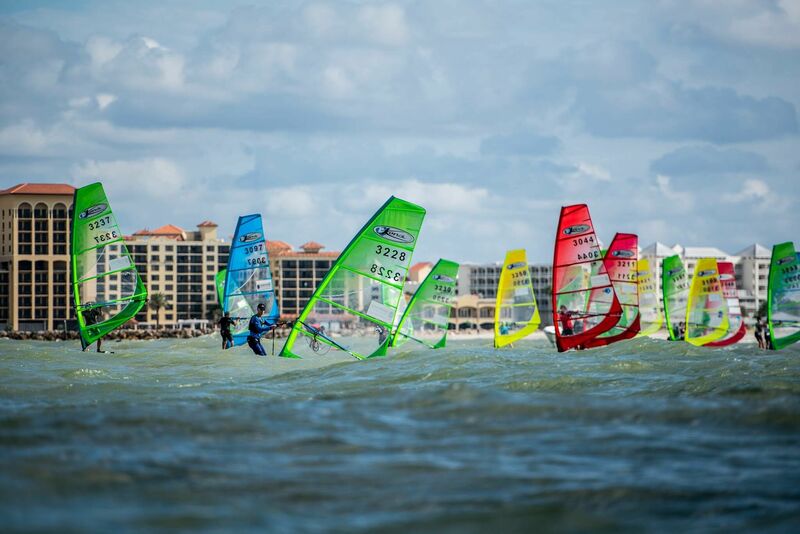 Tide, frontal systems, side swells, oscillating breezes – the sailing city on the Gulf of Mexico has it all! 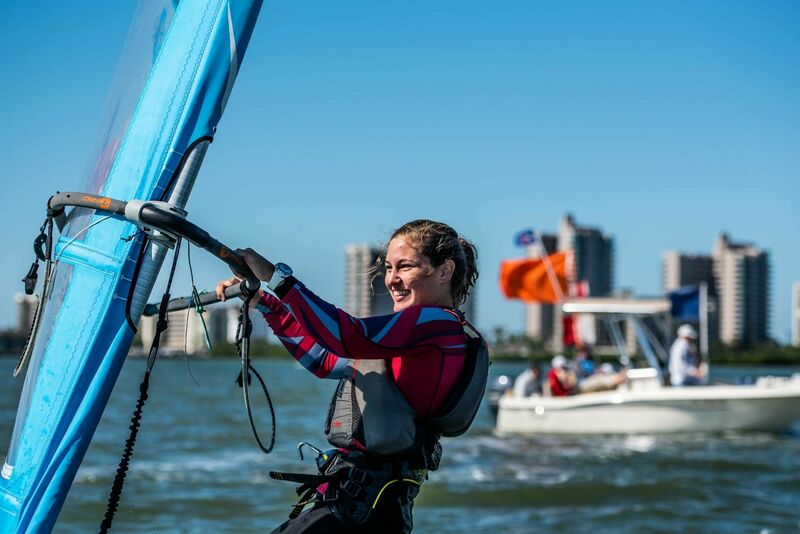 That’s why so many international sailing teams call Clearwater home for winter training. But that also meant that no one knew for sure what the conditions would be like at the end of October for the 102 competitors who signed up for the 2018 edition of the Kona Worlds. Would there be too little breeze to truly showcase the venue? Too much to even make it through the shore break? As it turned out, Clearwater showed all its cards! 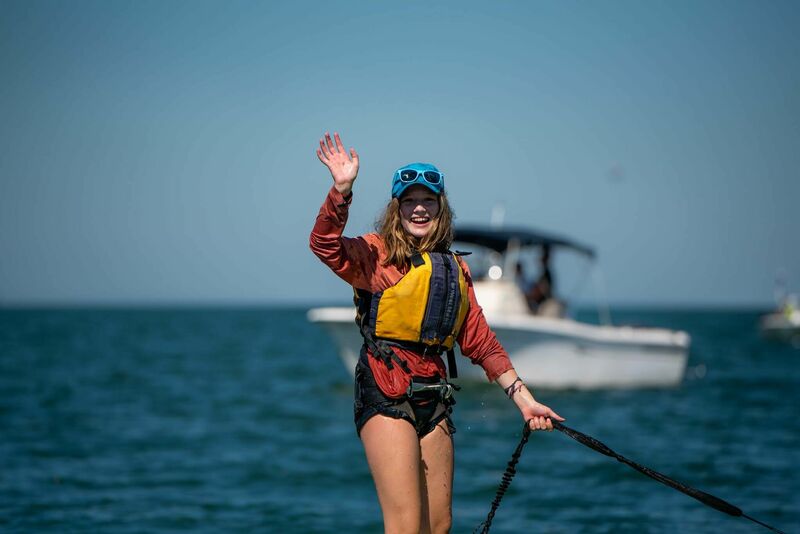 Two days of big breeze (20-25 kts) and 6-ft swell to put everyone on notice from the get-go, followed by three days of flatter, lighter (5-15 kts) and shifting conditions (sideshore, then offshore) to tighten the pack and keep everyone on their toes! 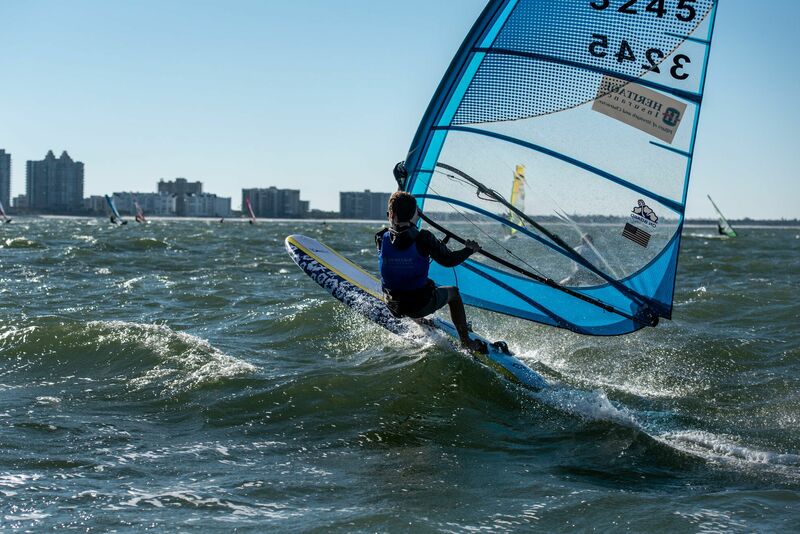 In a battle of wits that lasted all week, young gun Alex Temko (16-yr old, USA) edged out the legend himself, Bjorn Holm (SWE), to win his first world title and make his home club of Clearwater proud! After a week of brilliant racing, it took Alex some serious focus to hold it together and win it all in the 12th and very last race of the championships. For the third spot on the podium, Alex’s teammate Noah Lyons (USA) barely survived a late charge from Anders Pers (SWE) as well to earn the bronze medal on count backs. What a success story for the youth team in Clearwater: 1-3 on the overall podium, three altogether in the top-ten, and two more juniors in the top-five women and junior rankings. Beyond local knowledge, there’s some serious talent on that team! Thank you to Heritage Insurance for title sponsorship of the event this year, the Sheraton Sand Key for being such gracious hosts, Visit St. Pete/Clearwater, the Kona Class and all of its partners for their support leading up to and during the event. The professional staff at the Clearwater Community Sailing Center, with Sailing Director Justin Ahearn at the helm, took on this massive project with key support from the Clearwater Yacht Club and the Pensacola Yacht Club, and delivered beyond expectations! Click here for all the results and daily recaps (news, photos, videos), and here for a brief history of past Kona Worlds! 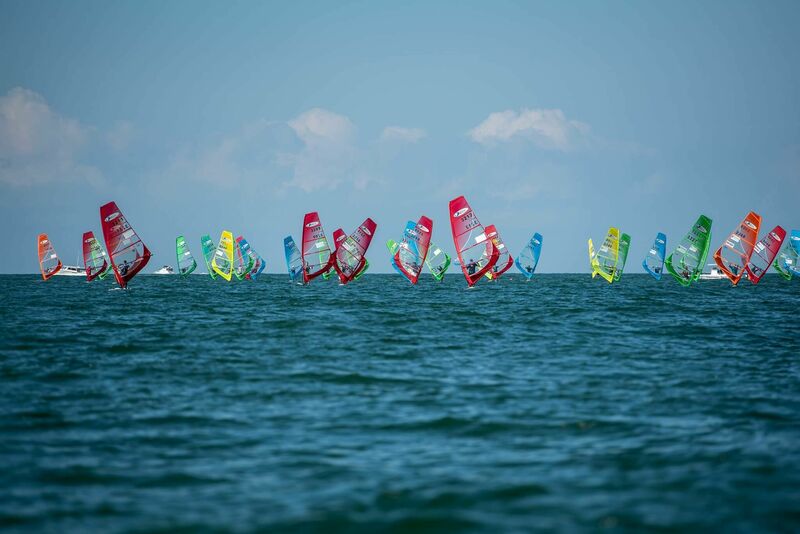 2018 KONA WORLDS – DAY 5 AND RECAP from Kona Windsurfing on Vimeo. Next story Thirty years and still searching for that lost salt shaker at the Margarita Run! Previous story Down to the Wire in San Francisco!